2016 Limited Gibson Custom Shop Memphis ES Les Paul. 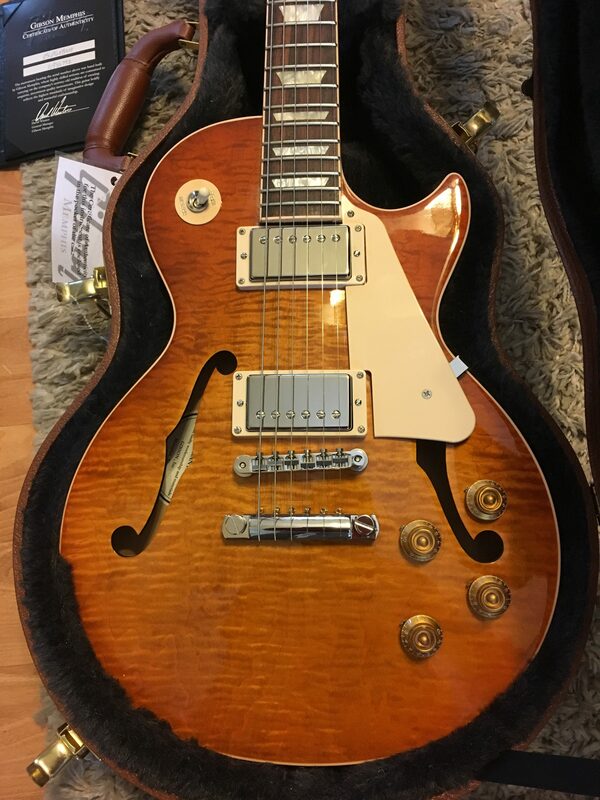 Awesome flame top on this one (and even a highly figured back!) it is in stellar condition and is as much fun to play as it is to look at. Comes as pictured with original case, COA, case candy etc.